Iron Maiden are set to release brand new limited edition pressings of their first eight albums in heavyweight 180g black vinyl this October/November. The albums will also be cut from the original analogue master tapes and packaged in identical artwork to the initial 1980’s releases. 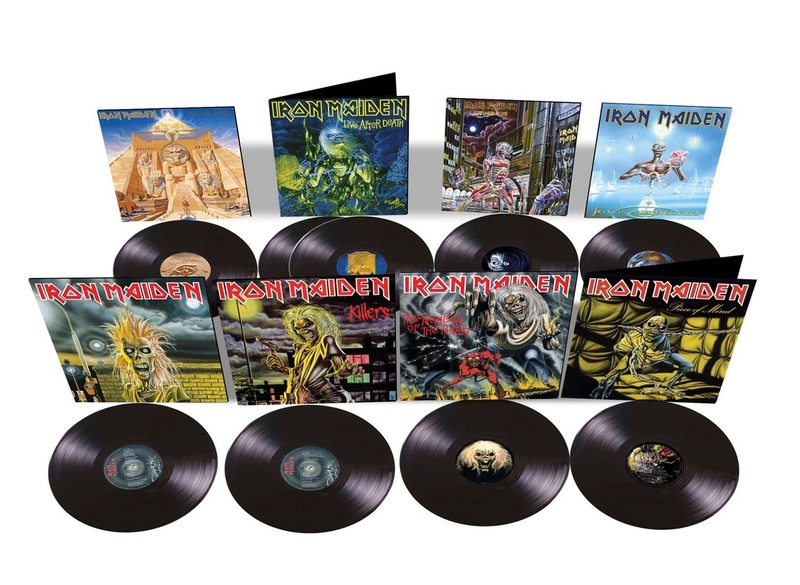 As a bonus, the first batch of album releases (Iron Maiden/Killers/The Number Of The Beast) will also be made available in a Collector’s Box sized to house all eight albums. This package will be a strictly limited edition and available while stocks last. The release of these high quality, black vinyl records offers optimum choice to fans who would like to own a piece of Maiden’s authentic 1980’s vinyl sound, or for those simply wanting to rediscover this much loved, iconic format.